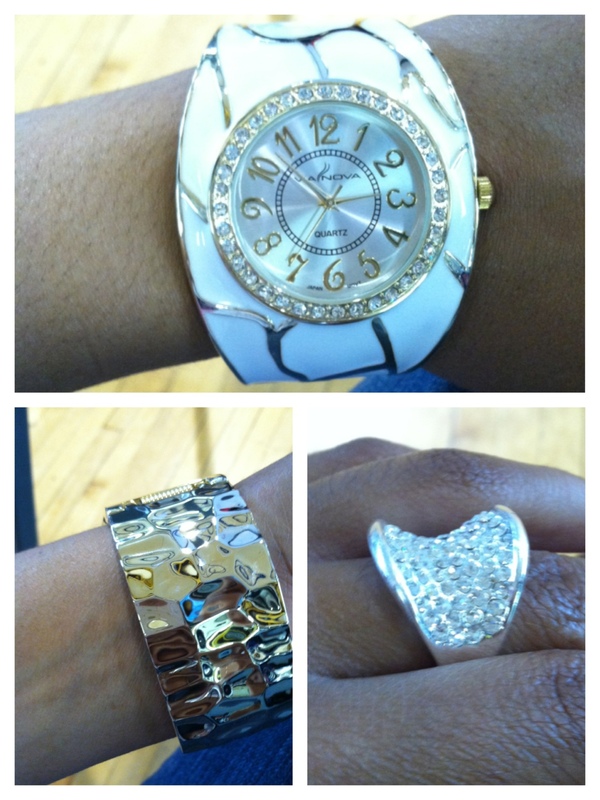 Here are the lovely accessories I chose to wear today. The big bold watch adds a great touch to my simple outfit of just a plain white tank top, jeans and a blazer. This was actually bought at one of my fav stores Charlotte russe. The ring has an irregular concave shape that adds some sparkly that any girly girl would love. That was bought at a local jewelry store for about $2. But it looks like it costs more then it did.